Following the release of the Truth and Reconciliation Commission’s final report six months ago, universities across the country are re-evaluating our practices. Both individually (as recently seen at the University of Winnipeg and Lakehead University) and collectively through Universities Canada’s broad response to the commission’s final report, campuses across the country seem to be making a more concerted effort to respond to this call for change. Perhaps most directly for readers of ActiveHistory.ca, it is the 62nd and 65th calls to action that most directly affect our work as historians and history teachers. Call to action 62 focuses on the importance of collaboration between survivors, Indigenous peoples, educators and governments to provide resources, research and funding to equip teachers with the knowledge and skills necessary to redevelop curriculum and integrate Indigenous knowledge and pedagogies into the classroom; while 65 calls on the Social Sciences and Humanities Research Council, in a similarly collaborative approach, to establish a national research program focused on reconciliation. Alongside survivor and Elder testimony, history and its practice are central to this report. In a recent talk here at Western, J.R. Miller noted that both in the TRC’s final report and the Royal Commission Report on Aboriginal Peoples, the revisionist work of academic historians feature prominently. He’s right. 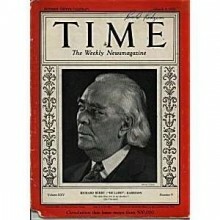 In addition to Miller himself, scholars like James Axtell, John Borrows, Sarah Carter, Denys Delâge, Robin Fisher, Cornelius Jaenen, Mary-Ellen Kelm, Maureen Lux, John Milloy, Toby Morantz, Daniel Paul, John Reid, Georges Sioui and Bruce Trigger among others reshaped Canadian historiography over the 1970s, 1980s and 1990s. Their work laid the groundwork that – in part – has caused us to rethink and revise how Canada’s history is understood. And yet, despite this historiographical shift, its influence on the broader structure of Canadian history seems minimal. The place of Indigenous peoples and perspectives flushed out in greater detail, perhaps, but still relegated to a few key moments and periods in Canada’s past. A cursory look at a handful of textbooks in the field, for example, makes the point most clearly. Though textbooks have certainly improved their overall coverage of Indigenous peoples, few have made a substantial revision to their overall structure, only featuring Indigenous peoples as a prominent part of the discussion in a handful of places: European discovery, missionaries and the fur trade, and then interspersed throughout the pre-Confederation period; discussion peters out for the most part in the post-Confederation textbooks until the 1960s/70s (some as late as the 1990s), when Indigenous resistance and political action re-emerged. In today’s post I would like to build on these observations, which are also made in the TRC’s report (pages 234-239 and 246-258), by posing a simple question: How do the TRC’s findings and calls to action shape our teaching of the Canadian history survey course? This spring, University of North Carolina Press published the provocative book Why You Can’t Teach United States History without American Indians. Compiled by Susan Sleeper-Smith, Juliana Barr, Jean O’Brien, Nancy Shoemaker and Scott Manning Stevens, this collection of essays provocatively demonstrates the many ways Indigenous peoples are essential and foundational to an understanding of American history, from its origins right through to the present, while also putting forward reconceptualised narratives and frameworks through which Indigenous histories modify the way U.S. history is understood. As far as I know, there is no similar book or resource focused on the teaching of Canadian history. 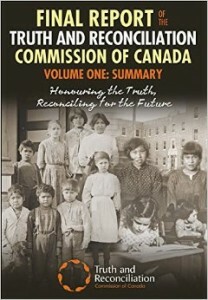 The 62nd call to action in the TRC’s final report should be read in part as a call for the creation of a similar resource and, for those of us teaching Canadian History, to reconsider the content and resources we use in the classroom. For the rest of this post, I’d like to follow Sleeper-Smith et al.’s lead by focusing on a couple of areas where I think change is necessary and where deeper consideration of Indigenous histories points us towards a broader re-visioning of Canada’s past. I make these suggestions as a non-Indigenous historian of eighteenth- and nineteenth-century northeastern North America, recognizing that the change I am calling for must involve a broader discussion that includes, respects and listens to Elders, community knowledge-keepers and tribal historians. They are offered as suggestions in an effort to spark discussion, more than to set out a path forward. The place to begin, I think, is with three themes: the Doctrine of Discovery, the 1764 Treaty of Niagara and its unilaterally imposed imperial precedent, the 1763 Royal Proclamation. Currently, none of the textbooks I looked at explores these subjects in much detail, or draws on their legacies over the nineteenth- and twentieth-centuries. Furthermore, in their discussion of treaties, not a single textbook addresses conflicting interpretations of treaties as a central component of the country’s constitution and past (from the 1726 Mi’kmaw-British Peace and Friendship Treaty (see Bill Wicken’s work here and here) through to Treaty Nine (see John Long’s work), to the present-day). This is a major problem. The 1763 Royal Proclamation essentially set the legal tone through which northern North America would be re-settled. With its foundation in negotiation with Great Lakes peoples at Niagara, the Proclamation and Treaty form a narrative thread through which Canadian history courses and textbooks can challenge students to grapple with Canada’s complex history of re-settlement and the law. Furthermore, educational resources and teaching need to prepare students to reflect on treaties as on-going processes rather than single one-off events. They must challenge students to think about treaties as relevant to all peoples living within Canada’s borders. From this perspective, students will have to confront the reasons for the Proclamation’s failed application in nineteenth-century Maritime Canada and British Columbia, as well as within the more specific negotiation of the numbered treaties (click here for a basic primer on the Proclamation) and other nation-to-nation negotiations. Related to this is the role of violence in Canada’s past. Though their are important exceptions, seen most recently in books like James Daschuk’s Clearing the Plains and Ian McKay and Jamie Swift’s Warrior Nation, Canadian history, specifically its history of re-population, continues to be considered – at least at the popular level shaping many students’ assumptions – as more-or-less peaceful. This framework inherently ignores the violence implicit in the re-settlement of North America by Europeans and the way that Europeans aggravated and compounded pre-existing conflicts, such as that between Wendat and Haudenosaunee peoples in the seventeenth century. One need only look to eighteenth-century Mi’kma’ki and Wabanakia, where Indigenous peoples were routinely held hostage by British authorities, or the nineteenth-century Prairies, where starvation overlapped with treaty negotiation, or Oka and Ipperwash in the 1990s, for additional examples. The structural role of violence in Canada’s past needs to be more clearly conveyed in the classroom. Jeffery Ostler’s recent article in October’s William and Mary Quarterly on the Indigenous consciousness of genocide in the Lower Great Lakes provides one example of what this might look like. In this essay, Ostler lays out the many times between 1750 and 1810 that Indigenous peoples voiced fears that they would face total annihilation in the face of European settlement. Though his focus is tightly bound to the U.S. context, in looking at the southern shores of the lower Great Lakes, we must acknowledge that many of these groups were allied with the British, or were from (or ended up moving to) British claimed territory north of the Great Lakes (present-day Canada). Furthermore, Ostler is clear in his discussion of the 1750s that Indigenous concerns about extermination related to all Europeans, including the French and imperial British (as opposed to settlers), suggesting that at the very least, historians of the places that would eventually become Canada need to ask similar questions and explore similar issues in our classrooms. Ostler’s article also points us towards another necessary rethinking in Canadian history: the degree to which we allow the present-day border (a historical construct itself often without examination in surveys of the country’s past) to shape what we teach in our classes. Few subjects taught in the Canadian history survey course are truly exclusive to the nation-state. The subject of residential schools, for example, should probably be taught within a broader framework that includes similar and more specific analysis of boarding schools in the United States (and elsewhere). Likewise, Indigenous resistance movements can’t be considered through a national framework. Thomas King’s The Inconvenient Indian does an excellent job at demonstrating the fruits of approaching Indigenous histories from a more-continental perspective. None of this should be surprising. After all, the creation of the border ripped through and still divides Passamaquoddy, Wulstukwuik, Abenaki, Haudenosaunee, Anishinaabe, Blackfoot, and Coast Salish communities and territory; subjects in and of themselves worthy of inclusion in a Canadian History survey textbook or course (see Karl Hele’s Lines Drawn upon the Water as a starting place). As my teaching has shifted towards a tighter focus on some of these themes, one of the common concerns I hear from students is that Indigenous history is privileged over other topics that are perhaps more important for their day-to-day lives. Though I obviously disagree, I think they are right on two counts. First, with limited time and resources, I have made choices to exclude some subjects in favour of others. This is particularly the case in the pre-Confederation part of the course, where we spend considerable time thinking through some of the subjects described above and laying the groundwork for the creation and implementation of the Canadian project (we are only now entering the nineteenth century in the course I am currently teaching). It is important for students to understand that this type of decision-making, the privileging of some subjects over others, is a fundamental component of the historian’s work and something that has always taken place as the country’s past has been interpreted. Perhaps more importantly, though, these students’ critiques have better attuned me to the stories I choose to privilege and exclude when I teach Canada’s past. Partially because of these critiques, I have become increasingly aware of the absence of Black Canadian history from both my teaching and many Canadian history resources. Much like with Indigenous history, the border has had a tendency to sever North American stories of slavery and freedom. Books like Lawrence Hill’s Book of Negros or Afua Cooper’s Angelique have certainly begun to change these perspectives. But much like with Indigenous histories, these stories of Black Canadian lives and communities are ones that continue in importance throughout the country’s past. Unfortunately, they are too often remembered unevenly. 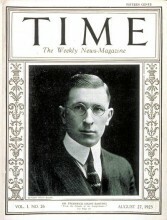 Here in London, where I live, for example, we should ask ourselves why – though both men were of sufficient influence to appear on the cover of Time Magazine – Frederick Banting is celebrated widely in the city though having only lived here for a couple of months, while Richard Berry Harrison, who grew up here, remains a relatively obscure figure. Though perhaps quite a deviation from Indigenous history, strictly defined, Black Canadian history is similarly shaped by the legacy of Euro-American re-settlement. Critically examining the interactions between Black, Indigenous and Canadian historiographies reflects an approach that I think resonates well with the spirit of the TRC’s final report and the broader cultural and political context of decolonization. Furthermore, recent work (and not so recent work) in the history of slavery, suggests some promise for considering African and Indigenous experiences together (Alan Gallay’s The Indian Slave Trade and Tiya Miles’s Ties that Bind present models that might be followed). So what does a post-TRC Canadian history syllabus or textbook look like? What should students be reading and what structure should these courses take? Given what I know of the field, I suspect that there are people out there who have already begun doing this. I know of colleagues, for example, who have begun the American or Canadian survey course on the West Coast or on the Plains, others who have taught the course thematically, some who have begun in the present and worked their way to a beginning, and others who structure it through biographies. I should also note that though I have critiqued Canadian History textbooks, they too have changed. In many of the pre-Confederation books, Indigenous peoples are discussed in nearly every chapter. Almost every textbook examined has some areas of strength. My point here, though, is about narrative rather than inclusion. The point I want to make is not one about the need for more Indigenous content (though that is also necessary), but rather what the TRC and more recent historiography means for how we teach Canada’s past. As I tried to illustrate above in my discussion about the place of Black Canadian history, this involves more than just writing Indigenous peoples into the story. Instead, it requires a reorientation in how we approach Canada’s past. In offering this reflection, I hope that we can begin a more public discussion about what the TRC means for those of us teaching Canadian history. What are its implications and how do professors, curators and history teachers respond? In this spirit, it is my hope that students and faculty currently enrolled in Canadian History courses, especially Indigenous students, as well as tribal historians and Elders will respond with their own reflections, either in the comments section below or – if so inclined – in longer form through a blog post on ActiveHistory.ca. Thomas Peace is an assistant professor of Canadian History at Huron University College and an editor at ActiveHistory.ca. Special thanks to Brittany Luby, Kaleigh Bradley and Ian Milligan for their feedback on this essay. Textbooks consulted were Conrad, Finkel and Fyson, History of the Canadian Peoples, 6th ed., vols. 1 and 2; Bumsted, The Peoples of Canada, 4th ed., vols. 1 and 2; Francis, Jones, Smith and Wardhaugh, Origins and Destinies, 7th ed. Thanks for this Tom. I read it this morning and then turned on the radio and heard a segment about the growth of open source textbooks . It got me thinking that this might be a good opportunity to rethink how we use and create textbooks. The Programming Historian is an interesting model. It started more or less as a textbook written by Bill and Alan and published as a PDF. It is now a website with an editorial collective and numerous authors. As a result, it covers a much wider range of topics than the original version. Should we starting thinking about creating a teaching website where we collectively write and edit essays for the classroom that after a few years might significantly broaden the material available for teaching and let us get away from assigning costly textbooks? The key is building the community of authors, editors and peer reviewers who will commit the time needed to built it up and make it a strong alternative to commercial text books. This year I’ve assigned Belshaw as background reading in my Canadian History survey course and Cole Harris’s ‘The Reluctant Land’ and Dimitry Anastakis’s ‘Death in the Peaceable Kingdom’ as the main course text.